There are many types of pests that you do not want to invade your home and cause damage. The damage these pests cause can be expensive and dangerous. You know the saying, “Don’t let the bedbugs bite” well it is true. Bed bugs do bite; unfortunately, it is often mistaken for spider or mosquito bites, and the bite itches just like other insect bites. It is extremely rare, but in some instances, a person can have a severe allergic reaction to a bed bug bite. Not all pests are insects so do not forget pests such as snakes, raccoons, birds, and other wild animals. First you will need to determine what type of pest you have; apparently, some are more difficult to spot than others. If you are finding rodent droppings, you apparently have a problem. You canset traps or poison out to get rid of the problem; however, if you have children or pets you should probably stay away from the toxins. Don’t like removing the rodent from a trap? There are now traps that lure the rodent in, and you throw the trap out with the rodent inside so you never must see or touch the rodent. Ant traps work similarly, however; they have poison in then so do keep them out of reach of children and pets. 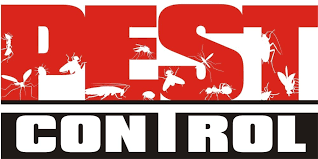 Often it may seem like you are losing the battle when it comes to some of the household pests such as ants and roaches; this is the time to call in pest control. 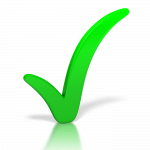 When you call a pest control company, they will come in and do an inspection first. They look for signs of activity, to see what it is you have in your home. Based on that inspection they will recommend ways to control re-infestation once they problem is gone. Once the type of pest has been determined, they will use the proper products and equipment to rid your home of the pest. Depending on the problem you may have to leave your home for a day or two. If you are concerned about the effects of the products they use on your children or pets, speak to them to find out how long before it is safe for your children or pets to be on the floor, etc. To keep mice and roaches out of your house do not leave things that they can find to use as a source of food or nesting materials such as cardboard boxes sitting around. Do not store things such as food in bags, purchase plastic containers with airtight lids to save things like cereal, sugar, flour, etc. in the pantry. Keep counters and sink washed and clean of crumbs, grease, and other food sources. You may use your vacuum at least once a week to prevent food crumbs off the floor that could attract things like ants or mice. Keeping things clean does not mean you will never find pests in your home, but it does reduce the number of infestations. Every couple of months, inspect the areas under your sinks, around your toilets and tubs, or appliances such as washers for water leaks that could cause puddles to form in the basement or under your home which could be a water source for insects or rodents. If you do not leave food or water sources for pests, they will move on quickly. Nothing will kill a real estate showing faster than the potential home buyer seeing insects or rodents when viewing your home. Make sure to get rid of the issues well before listing your home for sale. In addition, make sure that any dead bugs or carcass are removed before putting the house up for sale. Although this sounds like very basic information, countess homes are put up for sale with dead bugs around after the home has been treated.